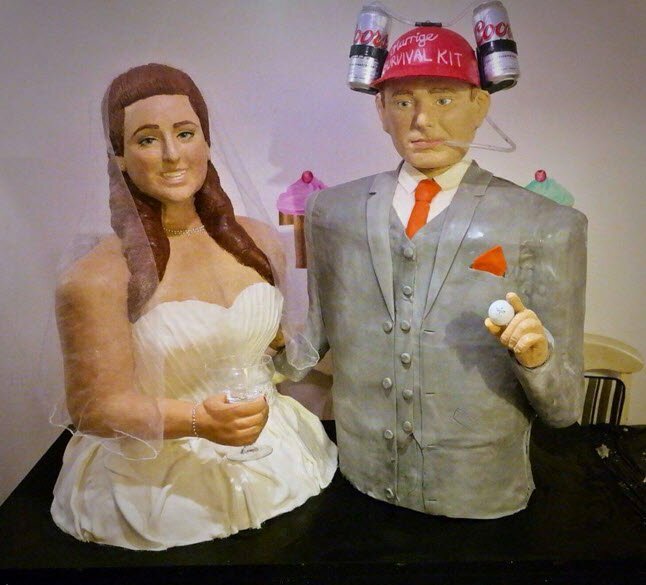 A life size wedding cake of a bride and groom is awesome. 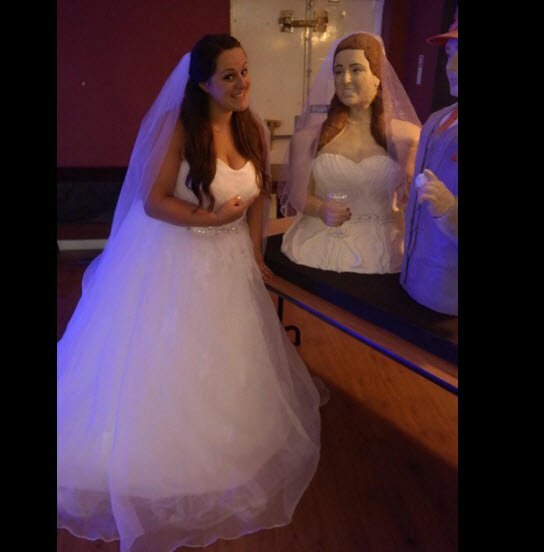 A bride has made a life size wedding cake of herself and her groom. 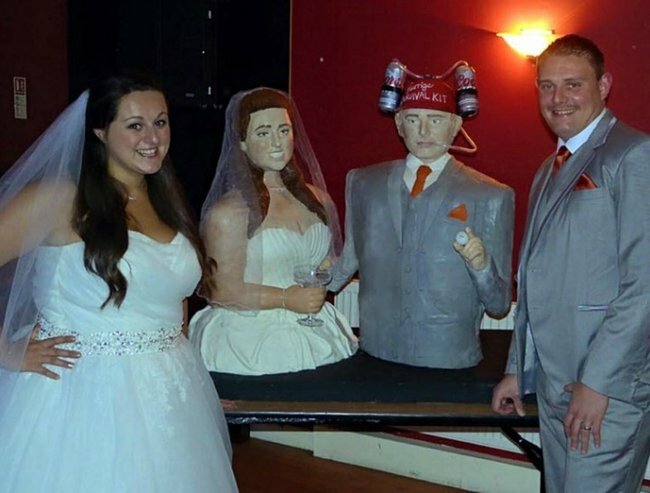 A wedding cake that takes, well…the cake. 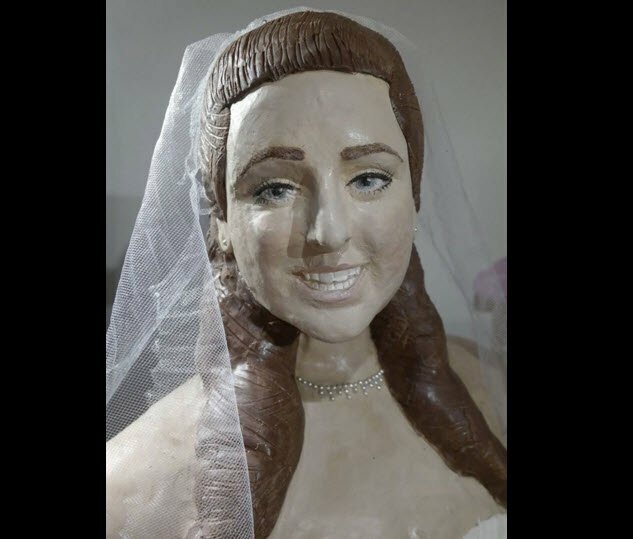 An award winning cake maker, Lara Mason (who recently made a life size cake of Prince George) has decided to celebrate her wedding day in a unique way. 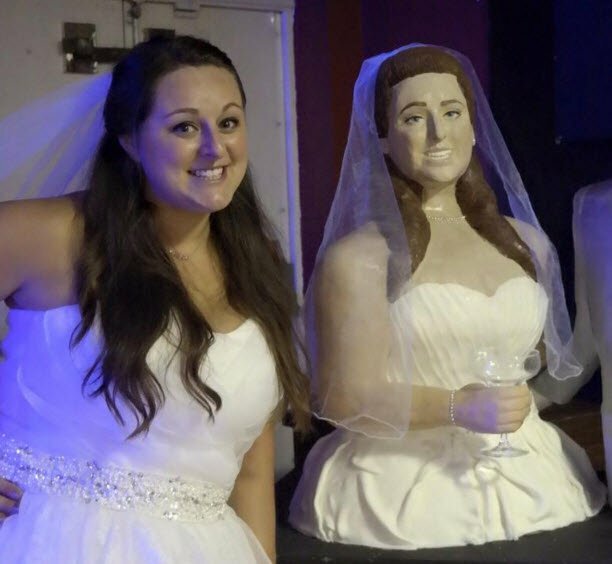 The bride whipped up a life size cake of herself and her now husband. The 29-year-old’s cake creation is incredible. The edible version of the bride and groom. Image via Tasty Cakes Facebook Page. The couple have been together for nine years after meeting at university, over a drinking game. 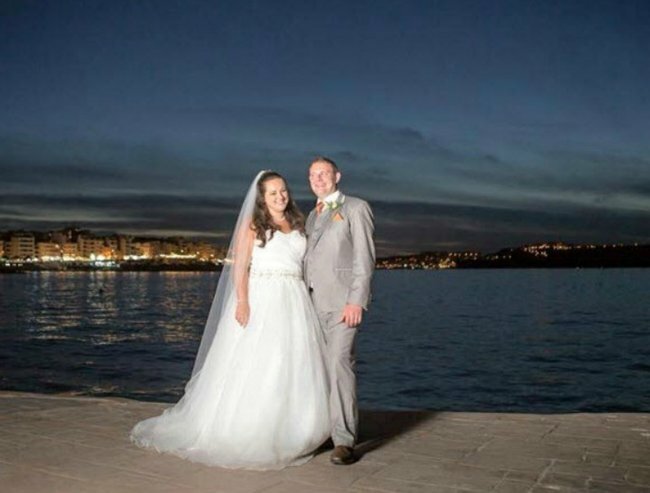 Their wedding was last month in Malta where 200 guests attended. Mason made the cake at a Football Club. The cake had 20kg of icing and 20kg of chocolate cake. “We both like a laugh and thought it would be great to create a cake which would give our guests a good laugh," Mason told Birmingham Mail. The couple and the cake. Image via Tasty Cakes Facebook Page. She admitted they they didn&apos;t even eat the cake (with 40kg&apos;s of deliciousness) on the night. Understandably everyone was too busy taking photos of the amazing creation. The lovely bride left the cake at the club so the players could enjoy it there. “It took me around 20 hours to create where usually I would spend about 150 hours on a cake of that size so it was a little rushed," she said. She&apos;s definitely one talented cake maker. The Bride.Image via Tasty Cakes Facebook Page. The bride and bride.Image via Tasty Cakes Facebook Page. Seeing double.Image via Tasty Cakes Facebook Page. The happy couple.Image via Tasty Cakes Facebook Page. Double troubleImage via Tasty Cakes Facebook Page.